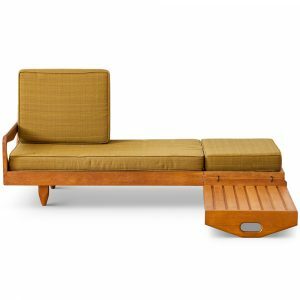 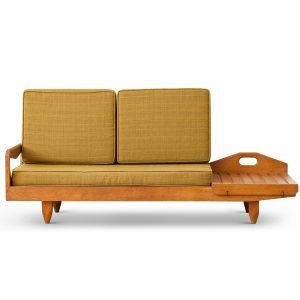 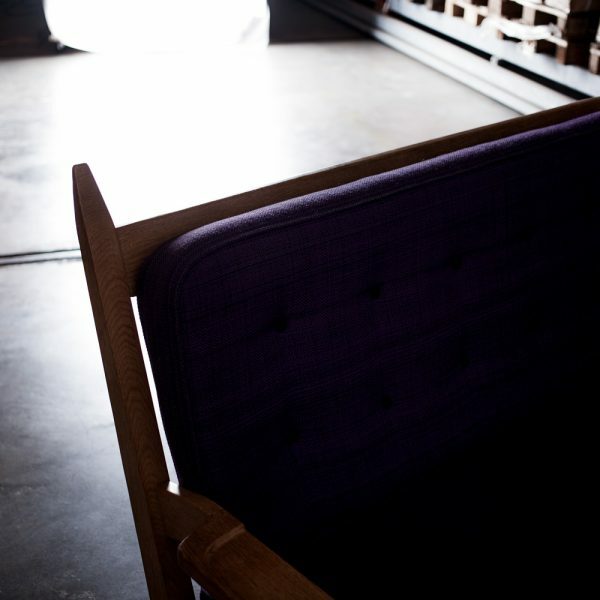 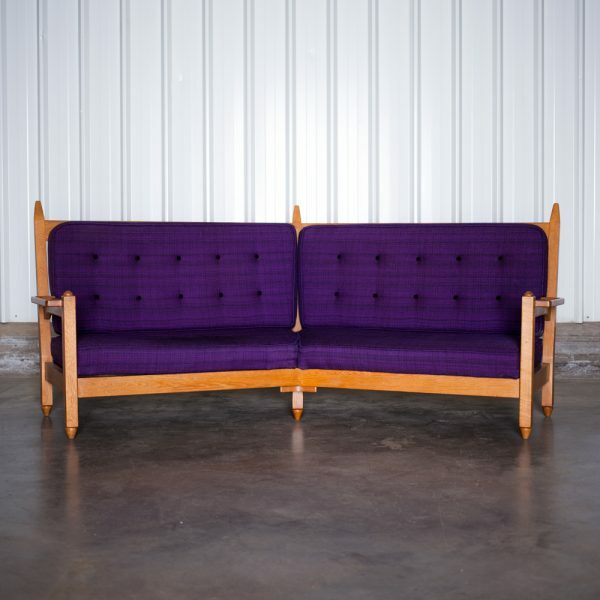 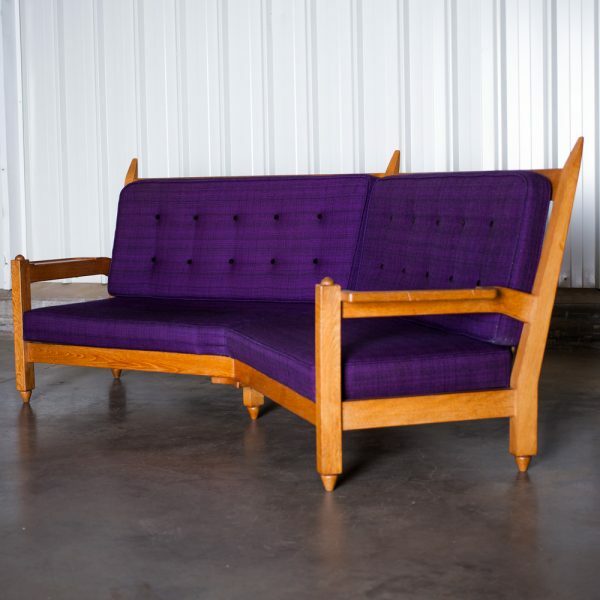 Loveseat in angle made for « Votre Maison » by the French duo Guillerme and Chambron in France in the 1960s. 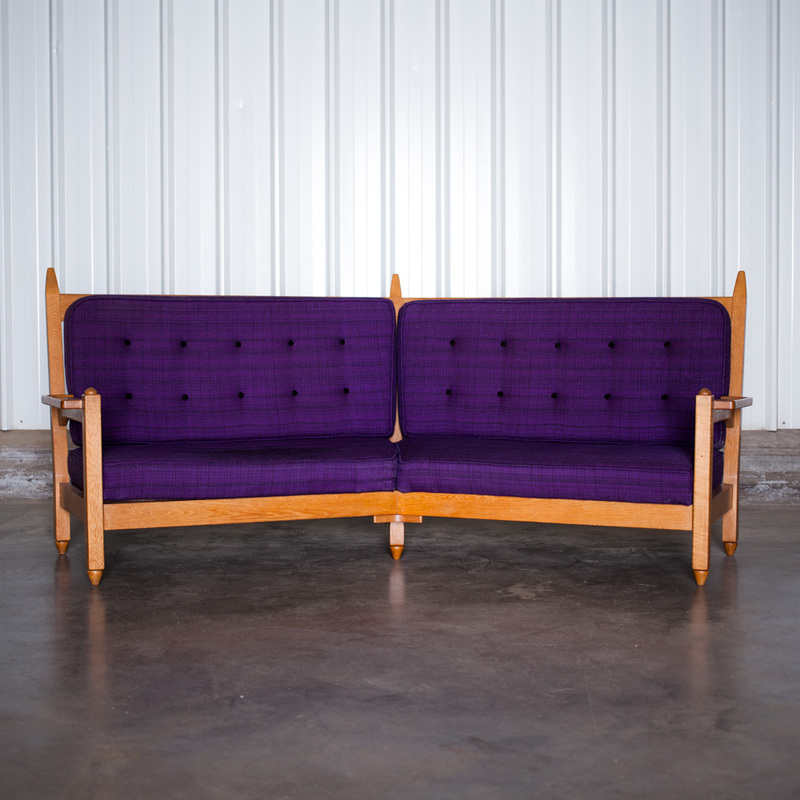 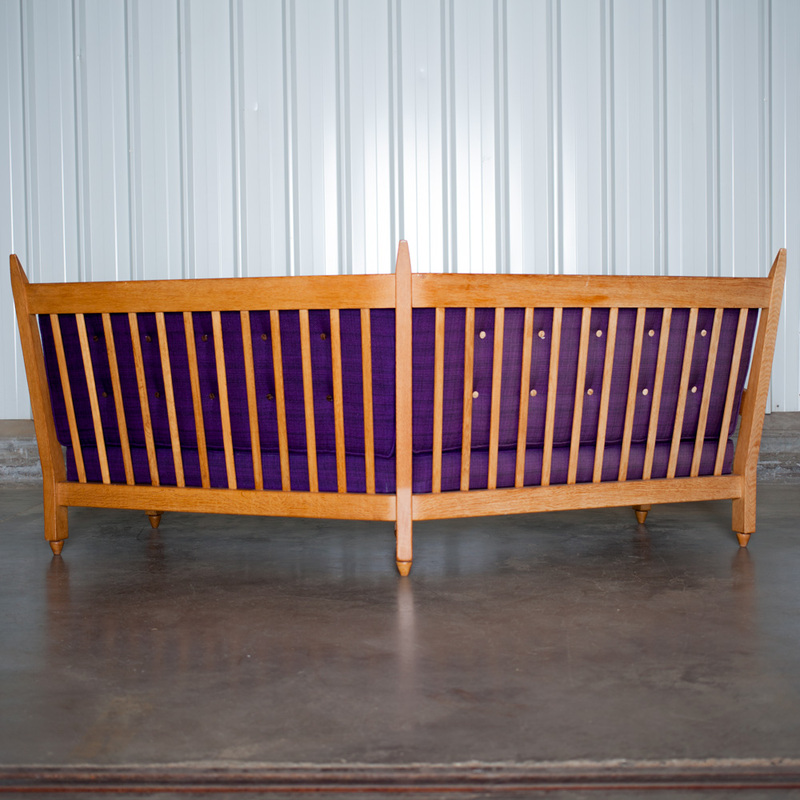 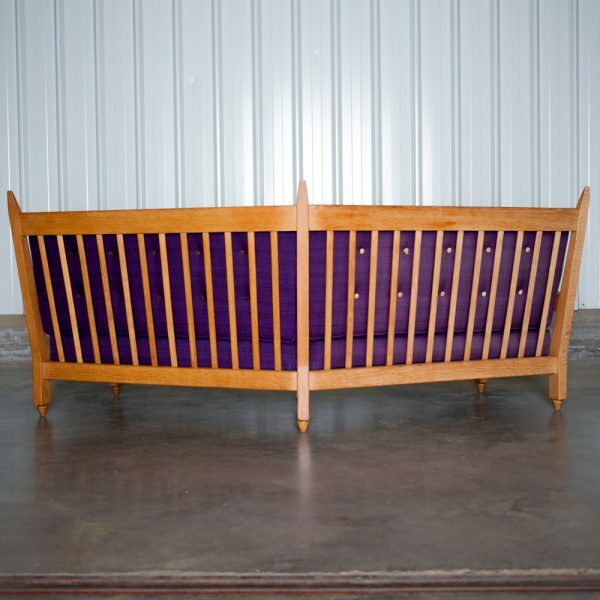 It was made for decorating a house, all the other furniture’s are also available in our 1stdibs catalog. 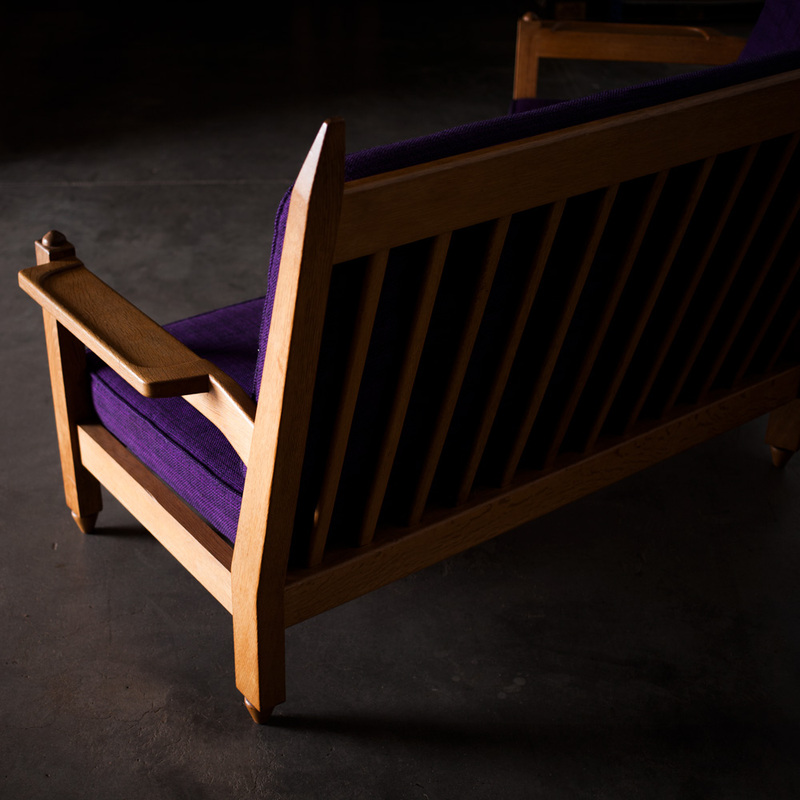 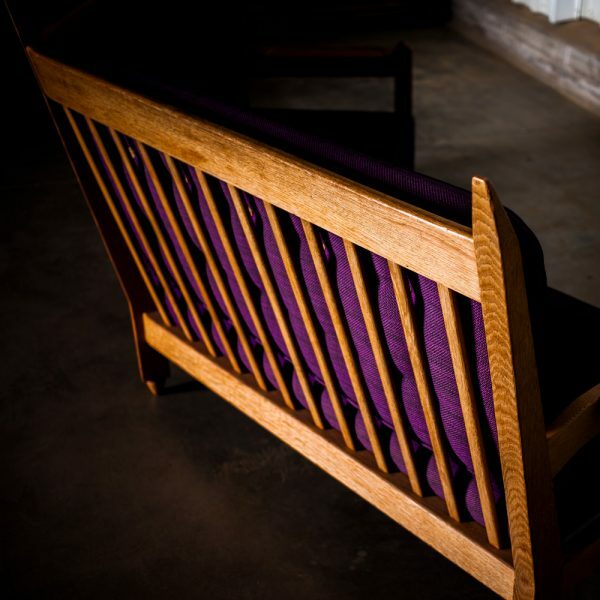 The upholstery needs to be changed, the oak is in a perfect state.